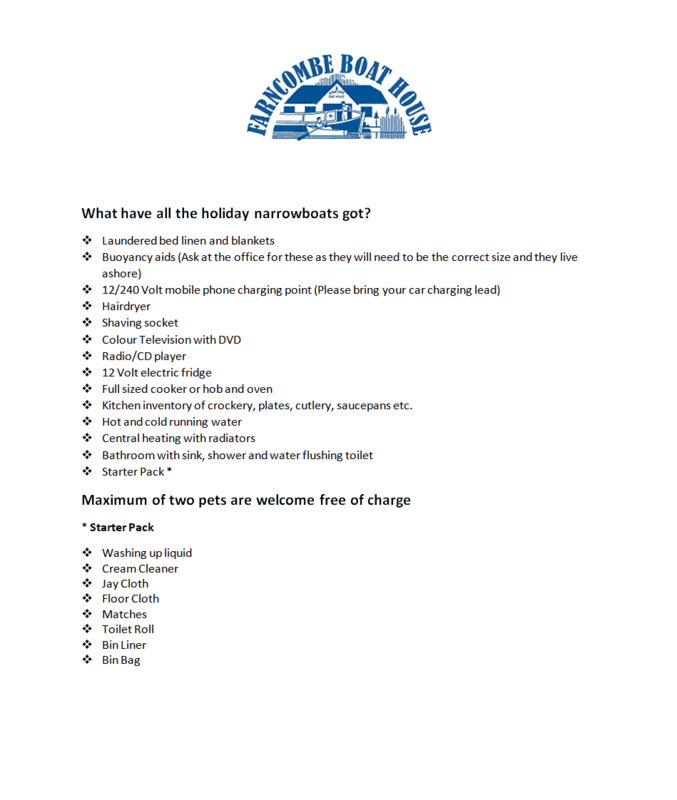 Our narrowboats are easy to handle and offer all the usual home comforts. The outside of each boat is painted in its own individual livery, and inside you’ll find the following as standard across our small fleet. What have all the boats got? 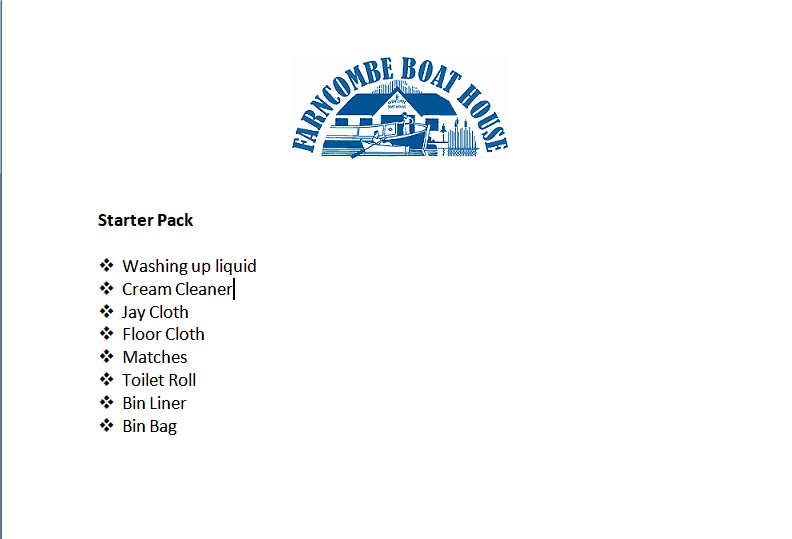 A starter pack will be on board for your arrival. You will need to bring your own towels and tea towels unless you are travelling from overseas, in which case these are provided. Please note we do not provide first aid kits or umbrellas and wet weather gear. Take a short break from March to the end of October on a weekend or midweek, or alternatively, take a boat for a week or longer allowing you cruise the River Thames. (You will need to purchase a visitor’s licence on entry to the Thames at the first lock you come to). We ask that before you book, please read our Conditions of Hire. Please check our online Availability which is updated constantly, but we strongly recommend that once you have chosen a boat and date, please telephone us to make a firm booking on 01483 421306. All of our narrowboats are rated 3 or 4 star. Our boats offer great comfort at an affordable price for either 3 or 4 day short breaks or weekly hire or even longer if you require. Please ask us for a quote if you are interested in going for more than a week as second weeks are subject to discounts. Our staff have completed the British Marine Federation Hire Boat Handover Audit so you can be assured that your instruction will be undertaken by fully qualified and experienced personnel. Your instruction will include being accompanied whilst you turn the boat around and go through your first lock. For more information on the River Wey, take a look at the National Trust’s Information for Boat Users. For the Thames, see River Thames Guide, Tips on the Thames and The Boater’s Handbook courtesy of the Environment Agency.